I love these memory keepers! This week we're taking a look back on a unique way to showcase memorable moments with your own personal flare and up-cycle old books at the same time. 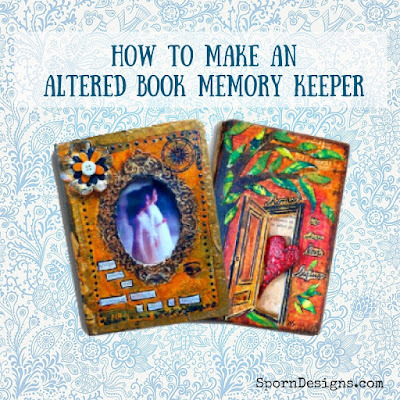 What are some of your favorite moments you could showcase in an Altered Book Memory Keeper? Leave your comments below. I'd love to hear your ideas! PS - don't forget, the Facing Faces Online Class is increasing to $44.99 on September 1. Sign up today and take advantage of the current price, $34.99!